Every spring when Neal Adams was a kid he couldn't wait to plant a garden. After all, his brother Steve and their family planted a large vegetable garden that would feed numerous family and extended family members all year long. Vegetables were not the only items planted in their garden or yard. His mother Rita's love of flowers, trees and shrubs ensured that their yard was filled with a variety of plants, both edible and non-edible. Neal and Steve grew up understanding the value of growing plants of all kinds. They saw landscaping made their house more of a home by adding softness with flowers and character with shrubs. Opening Adams Nursery & Landscaping was a natural progress. The Adams brothers started out growing vegetables in elementary school and selling them to community grocery stores around the Northeast Arkansas area. Peace, serenity and beauty can be yours with a little help from Adams Nursery & Landscaping located in Paragould, Arkansas. We can custom design a landscape and send our crew out to install it for you. Love gardening yourself! We work with DIYers all the time. Dreaming of a bountiful harvest to help with those grocery bills. 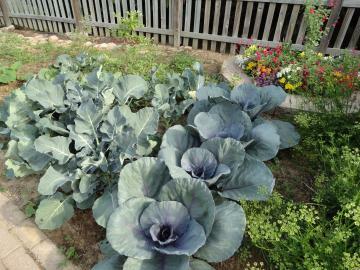 We grown a variety of vegetables great for the Northeast AR and Southeast MO. area. All tested in our own garden. "Our roots are right here in Paragould" applies to both Adams Nursery & the annual flowers we grow. Homegrown Specifically For Your Home.